Aerates up to 7-1/2 gallons. Runs up to 33 hours on 2 D cell batteries. Weighted airstone. Water resistant. 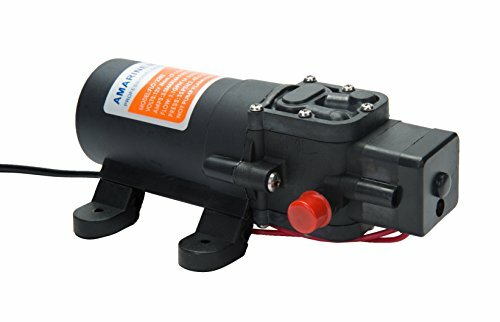 1.5 volt air pump. Batteries not included. 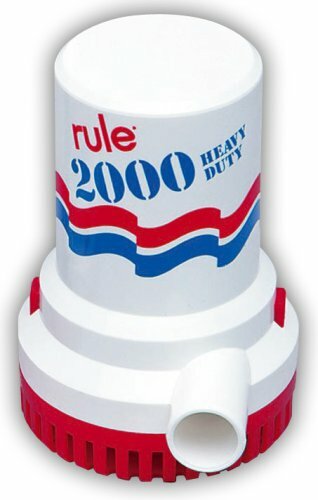 Shoreline Bilge Pump provides great performance in a small package. 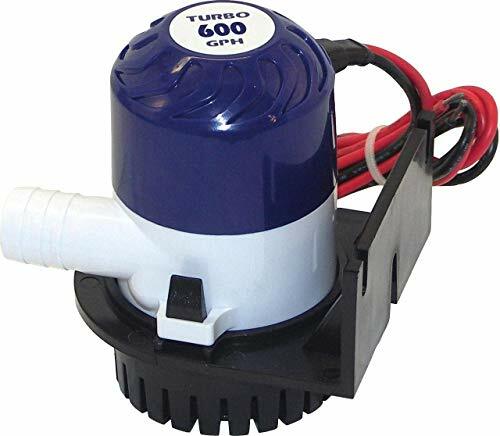 Includes bilge pump, mounting base, and SS hardware. 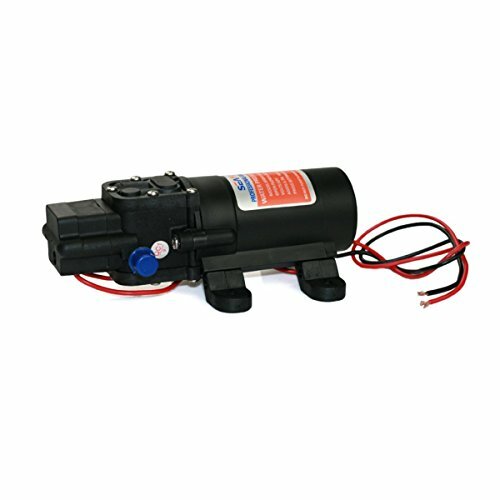 Pump is fully submersible and features marine grade wiring for exceptional performance. Brand: attwood | Manufacturer: Attwood, Inc. 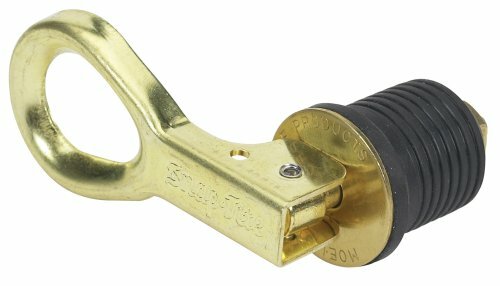 Snap Tite Bailer Plug 1 inch Brass Packaged For mounting only from inside the transom. 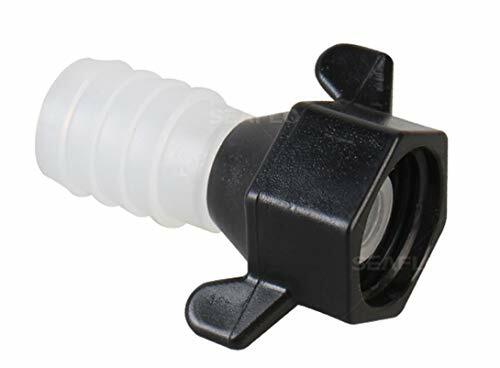 Fast working, cam action plug adjusts to provide the tightest possible seal. Will not jar loose under vibration. Corrosion resistant construction, neoprene seal. 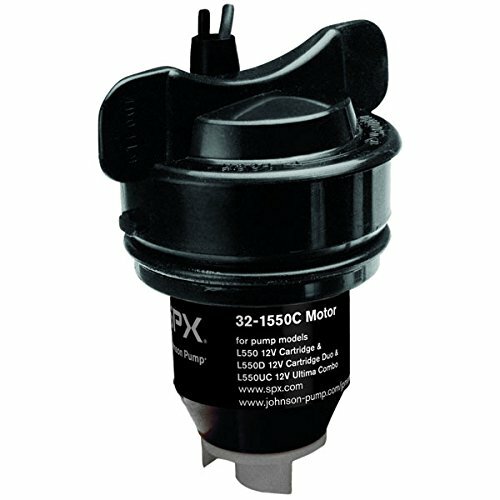 Replacement Motor, MFG# 28552, for 500GPH Cartridge Pumps, 12V. 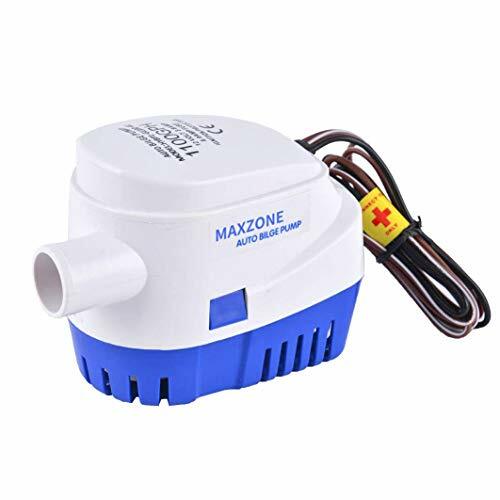 Voltage: 12V DC Flow capacity: 1.1 Gallons per minute (4.2 Litres per minute) Water pressure: 35 PSI Hose Outlets: Fixed 10mm (3/8") diam. hose tails Twin core wire Current Draw: 1.7 Amp (max. 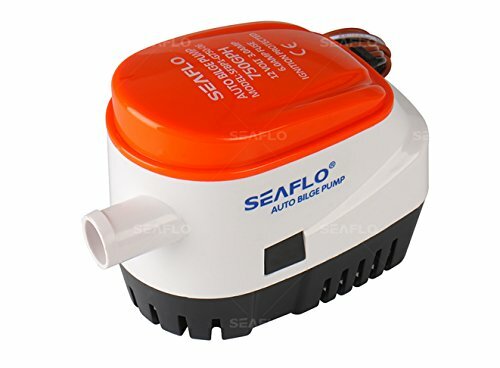 2.7 Amp) Dimensions: Length 170mm x Width 100mm x Height 67mm Approvals: CE Applications For marine, RV, agriculture and recreational applications Suits all size boats, caravans, mobile homes, etc. The Hexagonal Green Qwest 4-6 person Instant Water Resistant Portable Camping Tent Shade uses a specially designed Easy-Up Hub System that could have you under the shade in less than 20 seconds! The fastest and easiest set up and take down! It offers ventilation with it's 4 large windows; making it perfect for almost any occasion such as Camping, Hiking, Road Trips, Fishing, Parks, Beach & Indoors! It provides protection from the sun, rain and wind with its UV protectant coat & SPF50. Features Built with durable fiberglass poles, Water Resistant 190T Nylon walls & 210D Oxford Flooring. Double Layered roofing Easy Up Design that could have this tent up as fast as 20 seconds! Not just that, you could easily take this down as fast as 1 minute as well! It can accommodate up to 4 people. 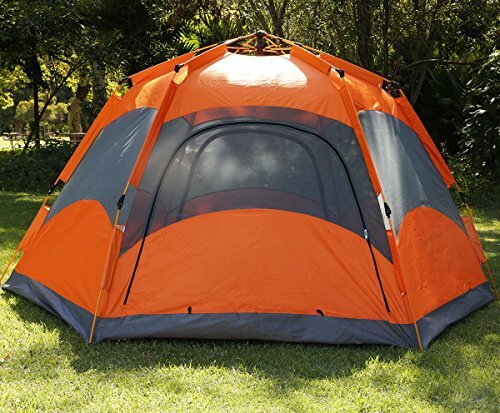 Specifications UV-SPF: 50+ Material: 190T Transparent Flooring Material: 210D Oxford Water Resistance: 3000mm Pole Material: Orange Fiber Glass Poles Capacity: Up to 4-6 People Windows: 4 Internal storage: Y Time Spent to Set Up Tent: as fast as 20 Seconds Time Spent to Close Tent: as fast as 1 Minute Overall Dimension: 125" L x 125" W x 66" H (10'5" X 10'5" X 5'5') approx. Compact and lightweight when folded, 7.5" X 7.5" X 34", 10 Lbs. Carrying bag included. Includes Lantern Hook to help with lighting within your tent. Storage Pouch to store key daily essentials Metal Nail Stakes 6 Ropes 210D Oxford Strap Carrying Pouch Note: Due to different monitor settings. Color may vary. We try to match the products with the pictures as accurately as possible. Most of our items have a picture and/or description of the contents on the box. Please email us if you would like for us to cover it. Extremely fast set up and fold down - takes less than 1 minute. Specially designed Easy Up Hub System. Large enough for up to 4-6 people. This hexagonal tent is made of durable fiberglass poles & water resistant 190T Nylon net materials makes it perfect for many occasions such as beaches, parks & backyards. Includes 4 Large mesh windows for ventilation within the cabana & gives visibility to see in and out of the tent. It also helps keep pesky bugs out of your tent. It has an inner pouch and lantern hook for easier organization. Overall dimensions are 125 L x 125 W x 66 H (10'5 X 10'5 X 5'5') approx. Compact and lightweight when folded, 7.5 X 7.5 X 34, 10 lbs. It also includes a Water Resistant carrying bag to transport your tent from trip to trip. 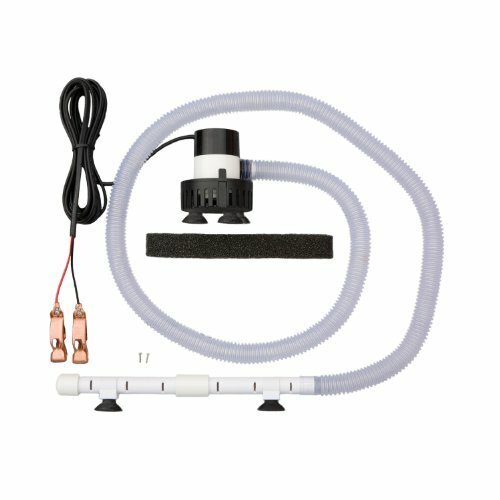 This gorgeous Marine Metal aeration system 12 V DC with bilge pump and kit has the finest details and highest quality you will find anywhere! 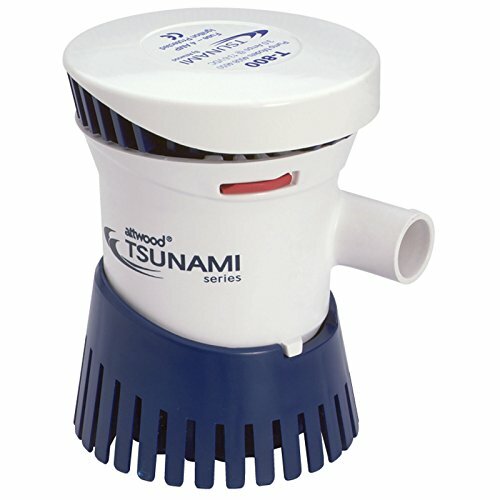 Marine Metal aeration system 12 V DC with bilge pump and kit is truly remarkable. 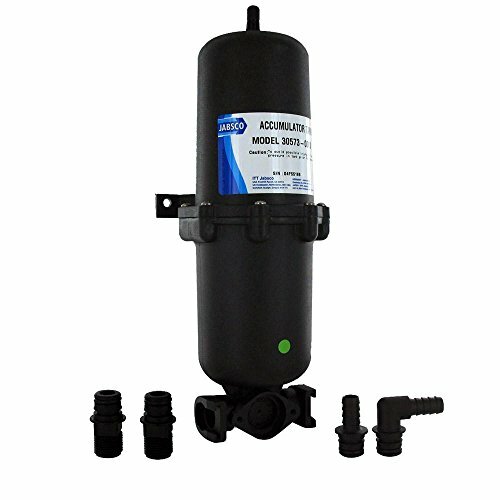 Product details: condition: brand new item SKU: ss-sms-ss212 information: an all-in-one pump aerator kit to fill, aerate and empty any livewell. Adjusts to any size insulated cooler, livewell or container. Spray bar mounts with suction cups or stainless steel screws. Suction cups allow pump to be attached inside the live well or to the outer hull for water Renewal. 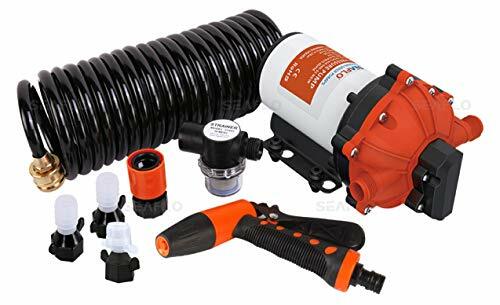 Complete package includes: 500 GPH pump with, suction cups, 10' 16 AWG power cord and copper battery clips, 2 aeration spray pipes, mounting clips, 5.5 ft. Flexible tubing, fish foam filter, screws and, suction cups for mounting. 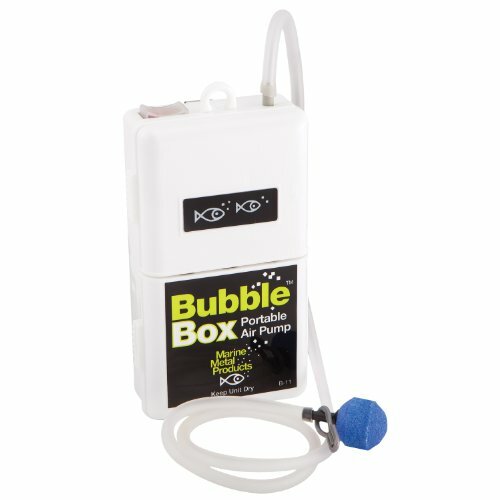 Great for freshwater or salt water. Suction cups allow pump to be attached inside the live well or to the outer hull for water Renewal. Designed for marine use. You can turn the knob to Continuous run, or save your battery by selecting the 1-minute run time with a pause of 1, 3, or 7 minutes in between. Switch also turns Off. 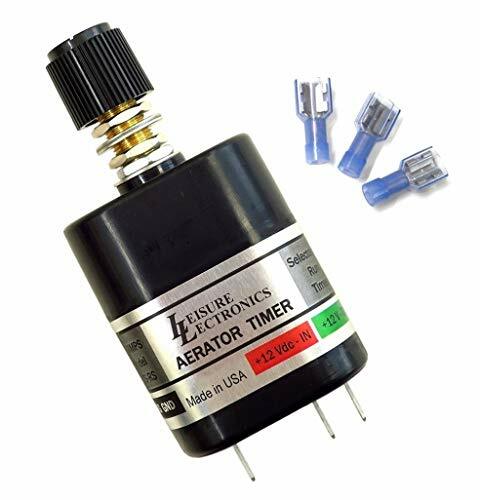 MADE IN U.S.A. by Leisure Lectronics, the leading manufacturer of aerator pump timers. Continuous run, or it runs pump for 1 Minute and you select a pause of 1, 3, or 7 minutes. 12V, 10A. Just 3 wires, easy installation. Simple wiring diagram included. Can run 2 pumps. 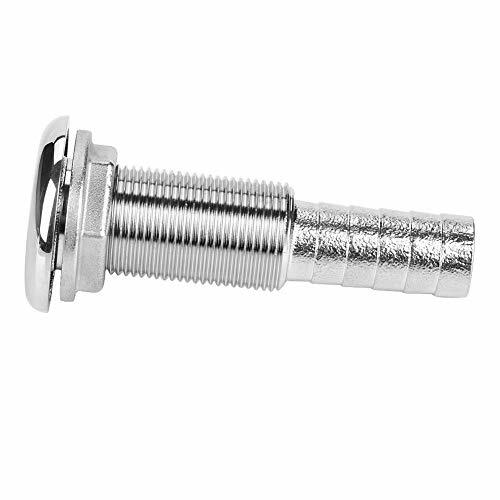 3 industrial grade terminals come with crimp-on wire connectors to resist corrosion and loosening. Water resistant, but for protected in-dash installation. Threaded shaft fits panels up to 3/8 thick. 4 x 1 x 1.75, including knob. Drill one 3/8 hole. Requires 4 clearance behind panel. Short Thread is a more compact size, allowing installation near corners and in confined areas. Hose Size: 1 1/2 I.D. 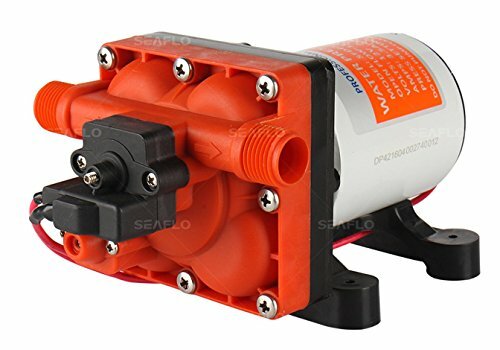 Fitting Suitable for 33/34/42/44/51/54 Series SEAFLO Diaphragm Pumps! Please allow 1slight error due to manual measurement and make sure you do not mind before ordering. High quality: This high quality and 100% brand new boat hose is made of heavy duty 316 grade stainless steel construction to ensure strength and durability. 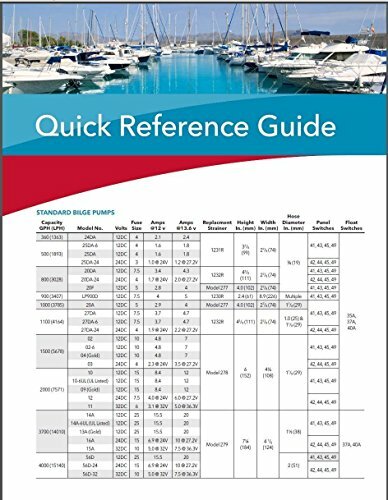 Compatibility: This product is highly reliable and is widely used in ships, yachts, ships, etc. Corrosion resistance: This durable hull pump hose has a mirror-polished finish and is highly resistant to salt water. 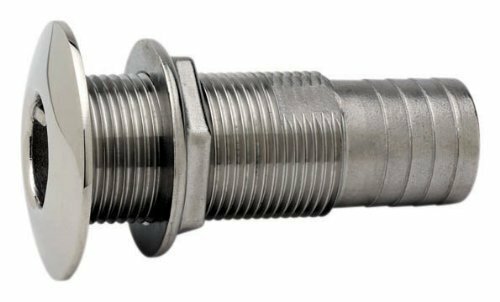 Easy to install: The stainless steel straight-through hull fitting hose is compact enough to fit near corners and narrow areas. Quality assurance: This product is sold by our company. Thank you for purchasing from our company by all means. 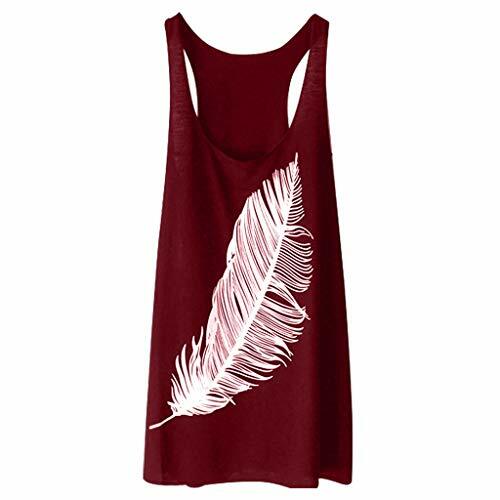 If you can purchase from other sellers, we can not guarantee quality or correspondence. If you have any problem, please do not hesitate to contact the staff via e-mail. 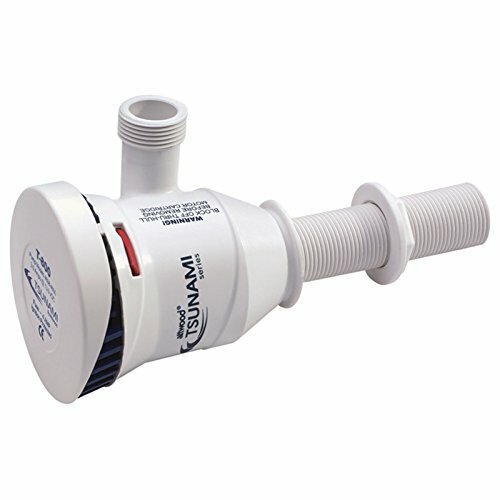 Thru-Hull Bilge Pump and Aerator Hose Fitting for Boats. 1-9/16" outer flange OD. 1-1/4" maximum hull thickness. 1" hole required for mounting.